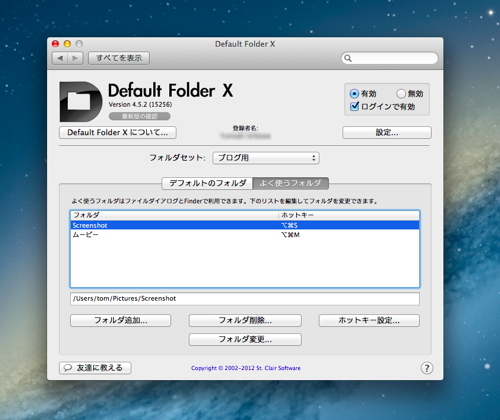 Default Folder X is now fully compatible with Mac OS 10.8.2. 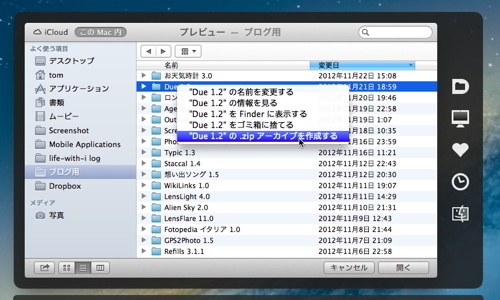 Default Folder’s user interface is now enhanced for Retina displays. Default Folder X now forces Open and Save dialogs to start in the last folder you used to open or save a document. 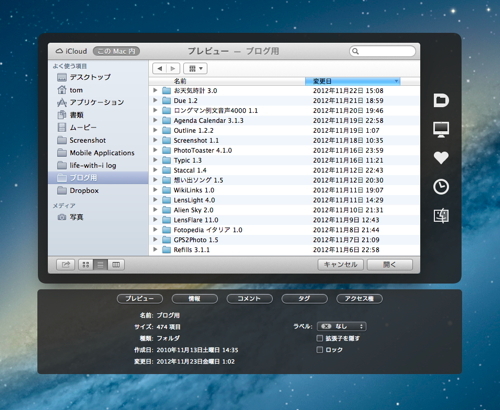 It remembers separate "last used" folders for each application, and for each application, separate ones for Open and Save. If an iCloud-aware application creates a new document, the default save location will be your last Save folder, not iCloud (unless you last saved to iCloud, of course). Added full support for iCloud. 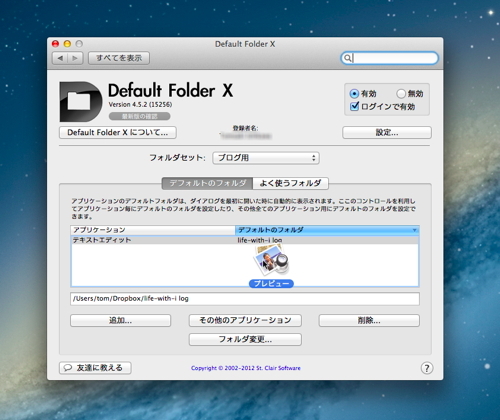 Note that you can get to iCloud using the computer menu (the second button from the top) in Default Folder X’s toolbar. Added a new AppleScript verb, GetSaveName, so that AppleScripts can both get and set the name of the file in a Save As dialog. Added support for MailTab for Gmail, MailTab Pro, Concentrate and SnapNDrag. 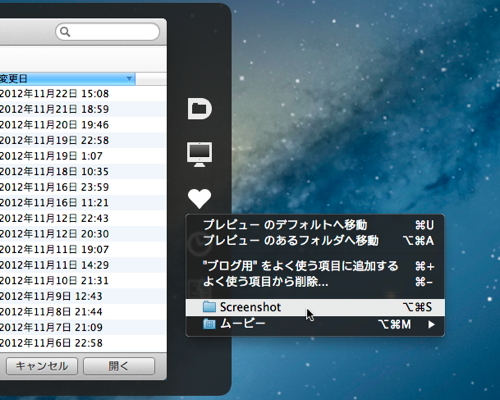 Folder sets are now sorted alphabetically.